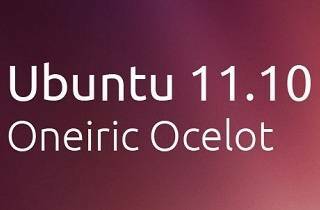 The Ubuntu team is pleased to announce Ubuntu 11.10, code-named “Oneiric Ocelot”. 11.10 continues Ubuntu’s proud tradition of integrating the latest and greatest open source technologies into a high-quality, easy-to-use Linux distribution. For PC users, Ubuntu 11.10 supports laptops, desktops and netbooks with a unified look and feel based on an updated version of the desktop shell called “Unity”, which introduces specialized “Lenses”. Finding and installing software using the Ubuntu Software Centre is now easier thanks to improvements in speed, search functionality enhancements, and usability improvements. Aside from updates on the performance side, it’s also more aesthetically appealing. Ubuntu Server 11.10 has made it much easier to provision, deploy, host, manage, and orchestrate enterprise data centre infrastructure services with the introduction of “Orchestra”. The Juju technical preview allows service developers to describe the deployment and scaling requirements of their applications, in order to simplify and enhance the dialogue between developers and operations teams. For those working on the ARM architecture, a technical preview is also provided for the ARM server. Standard maintenance updates will be provided for Ubuntu 11.10 for 18 months, through April 2013. Ubuntu 11.10 is the base for the newest 11.10 iterations of Kubuntu, Xubuntu, Edubuntu, Mythbuntu, Ubuntu Studio, and our newest addition to this release cycle, Lubuntu! Ubuntu 11.10 is also now available on two new ARM community-supported ports.